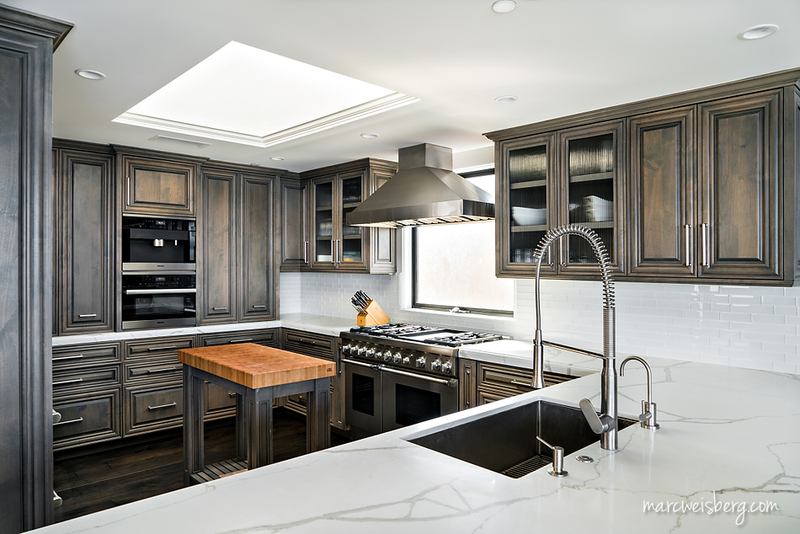 Here’s a gorgeous home I had the opportunity to photograph for the talented team of Addison Bruley Lavish Interiors in Laguna Beach, for an upcoming magazine submission. 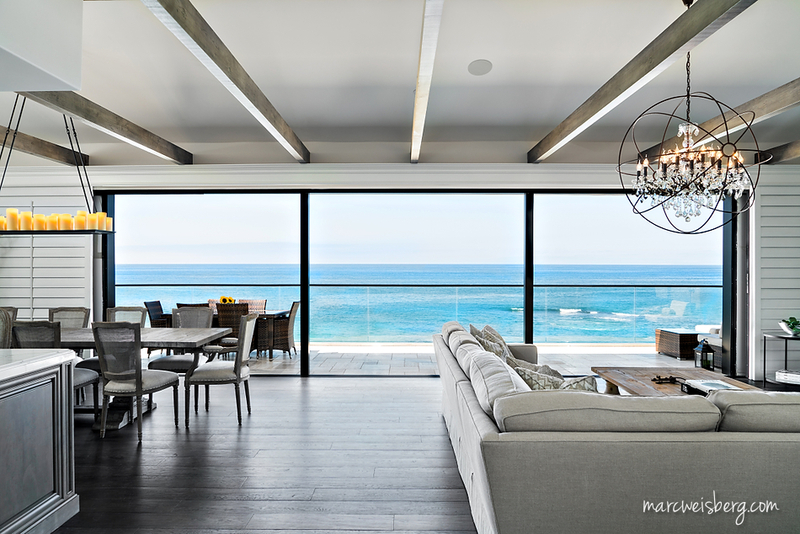 This Interior Design Photoshoot | Laguna Beach private residence is perched above the beach with sweeping views of the Pacific Ocean. Anytime in Interior Design photographer is faced with an ocean view shoot it’s always a challenge to balance the interior lighting and with the exterior view. 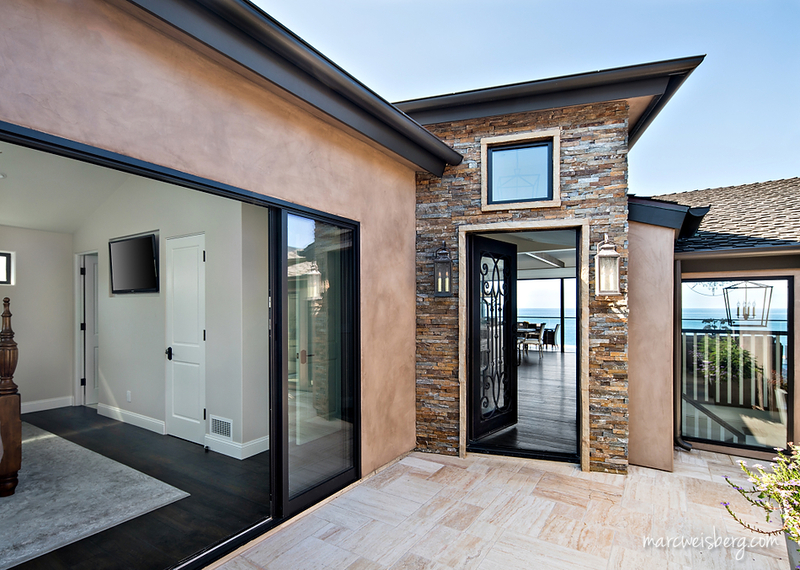 There are a few photographic tricks that need to be put into play to balance out the design aspects, keep the color true and show the breathtaking Pacific Ocean views. As a luxury real estate and interior photographer I use a combination of off-camera lighting, ambient masking and “window pulls,” bring the entire image into balance and keep it looking natural and elegant. The private residence was minimalistic in design with tastefully curated art and furniture, which created a calm effect and super clean lines. Gear Used: Sony a7Rii, Canon 17mm Tilt Shift, Metabones IV and FE 24-70 f/4 Z OSS, and a Neewer TT850 speedlights. 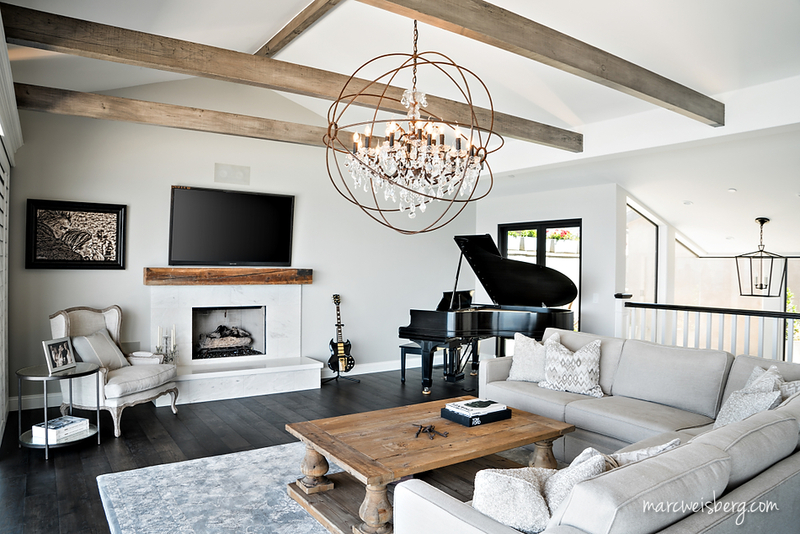 A 1961 Gibson and a 1901 Steinway Baby-Grand are the focal points of this Laguna Beach, luxury real estate living room. 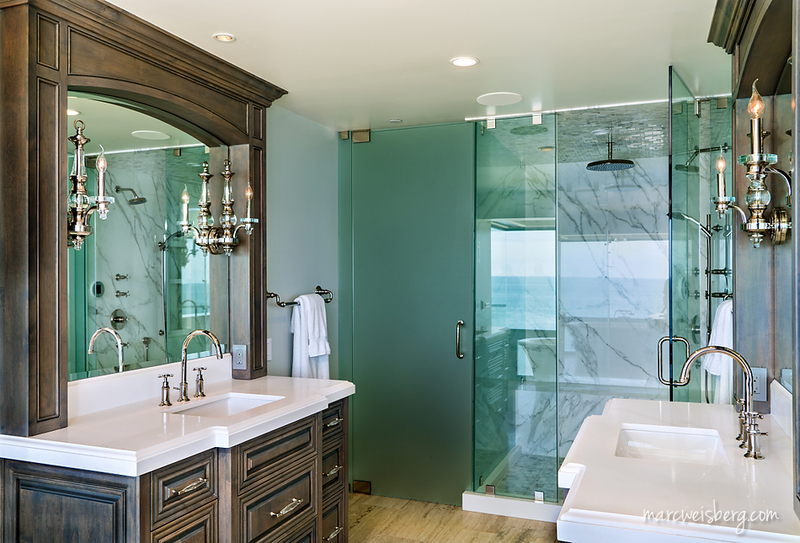 The master bath has a small footprint, but, the designers still managed to comfortably fit in his and her sinks and vanities with marble tops. 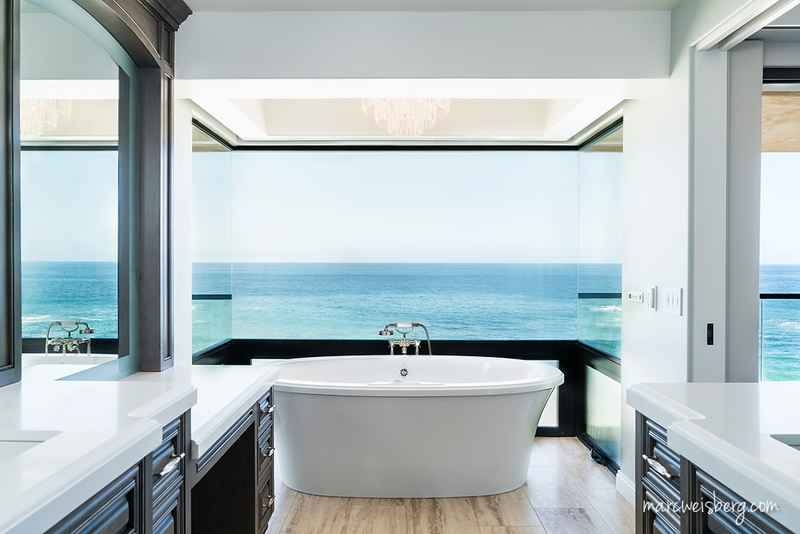 A freestanding bath is not complete without a chandelier and a 180 degree view of the Pacific Ocean.